The subscription box is on trend these days, the concept of subscription box is a box of few products and the buyer needs to pay almost around one-fourth amount of its actual price. These products can be related to beauty, stationery, eatables, accessories. Today I am talking about Euphorbia box which is a beauty box with four products in it. These products keep on changes on monthly basis. The cost of this box is 248/- and you need to pay 42/- as a shipping charge. The company is also offering a good deal for the buyers who take subscription of this box for three months and six-month. In this deal, the buyer has to pay the amount in advance because they are taking the subscription for three months, the benefit is the cost of the box reduced to 238/- and for six months it cost will be 228/- and shipping charges remains the same i.e. 42/-. Here I will show the box for the month of May 2018. The cost of this box is 248/-. There are four products in this box: Body mist, two pen lipsticks, and last one is bath and shower gel. The actual cost of this box is 1647/-. Isn't it a good deal, grabbing the products of 1647/- in just 248/-. 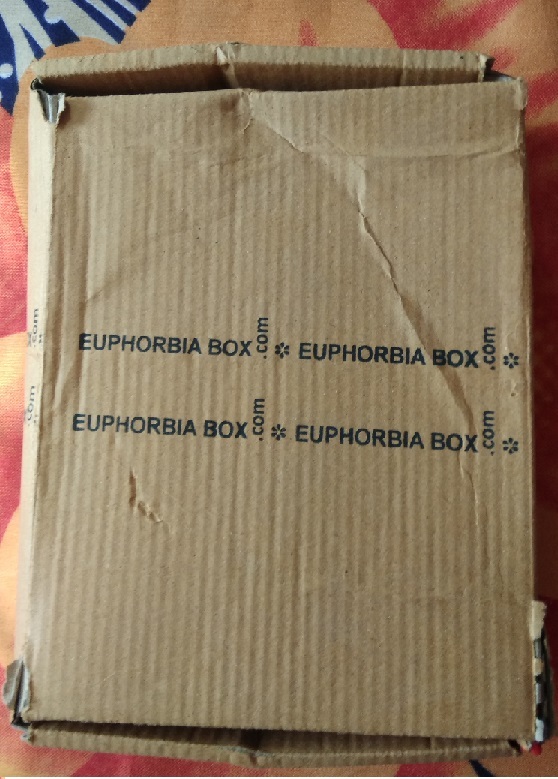 The packaging of Euphorbia box comes in a cardboad box and when you open it you will find a red recycled bag where the pouch of Euphorbia box is kept. 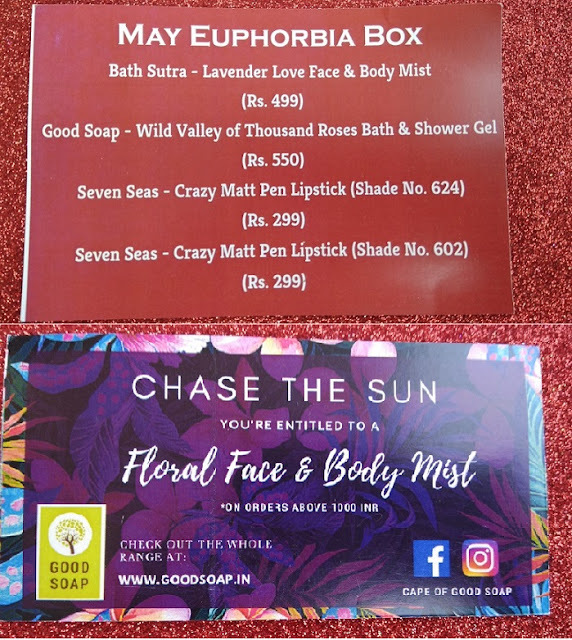 You will find a red pouch which is of very good quality, inside that pouch there are two cards, one is about the products rate card and another one is like a gift voucher from Goodsoap, if you purchase 1000/- products from GoodSoap then you are entitled to get a free Floral face and Body Mist. 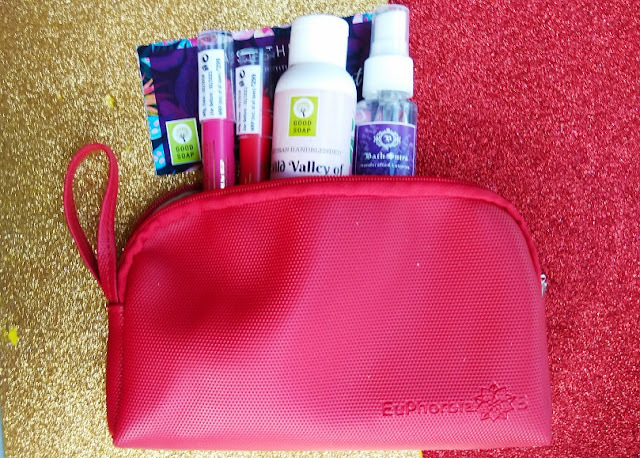 There are four products in this pouch whose cost is approximately 1700/-, all these products well go with the theme. The products name is given above in the card. 1. 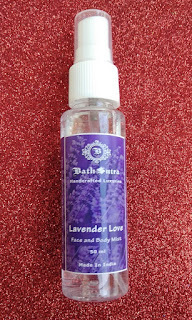 BathSutra: Lavender Love Face Body Mist: This product comes in a spray bottle and is used to hydrate your face and neck. It freshens your skin and gives you relief in summer. 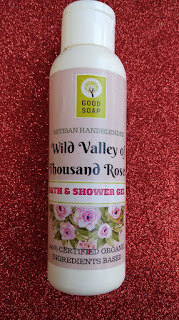 This is totally Paraben free, Chemical free and cruelty-free. The quantity of this product is 50ml and life is only 4 months. So using 50ml in scorching heat is not a big deal and I am sure you will use it all before its expiration period. This product really works well and a mild fragrance gives you relief. 2. 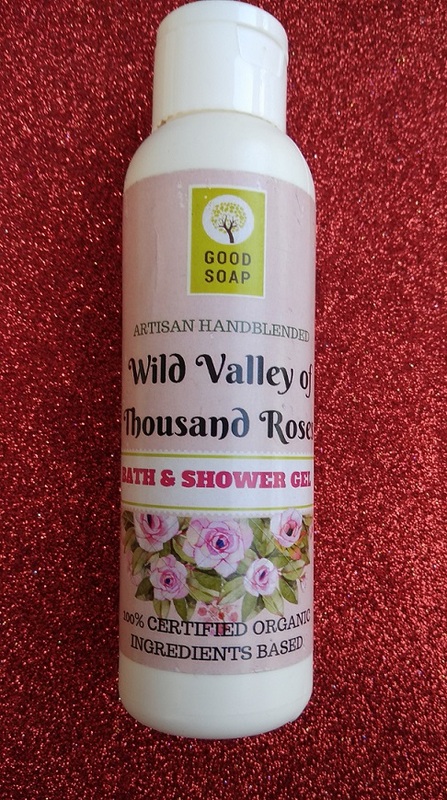 Good Soap-Wild Valley of thousand Roses Bath & Shower: This is another amazing product of the box, a shower gel with the fragrance of roses, olive oil, and English Rose EO. This is 100% certified organic ingredients based. 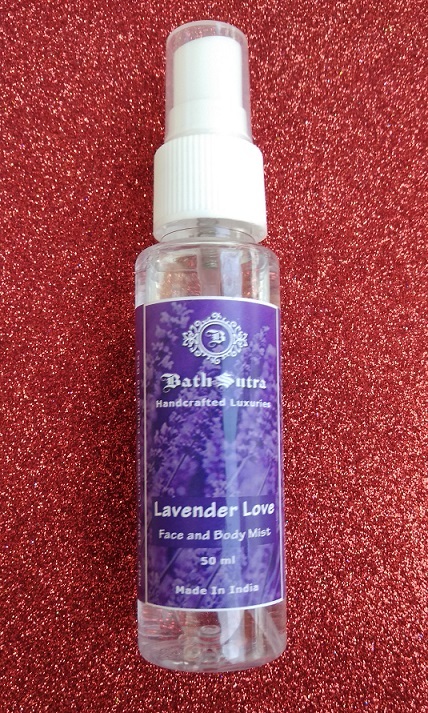 This product is little runny but cleans your skin quite well without leaving harshness on your skin. The life of this product is 24 months. It is a 100ml bottle. A suggestion you can use this shower gel in making of wet wipes, the fragrance gives an amazing effect in wet wipes. 3 & 4. 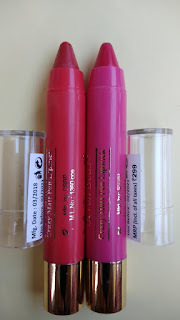 Seven Seas- Crazy Matt Pen Lipsticks: There are two lipsticks of seven seas, crazy Matt Pen lipstick. Named as Matto Lips. The life of this lipstick is 3 years. I have received two shades, red and pink. Both the shades are lovely and quite trendy also, not only this looks great in the summer season. The lipstick is highly pigmented also have a mild fragrance. The color code of red lip color is 602 and for pink is 624. See how this lip color looks in one stroke. 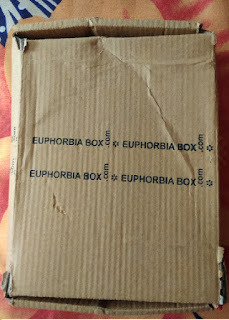 Euphorbia box is the most affordable box with all quality products. 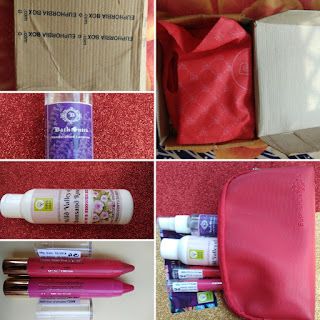 May box is curated with those products which are required to beat the summer. Here are the links from where you can find more about this products Euphorbia box.